At Easley Family Chiropractic we incorporate health in the forms of nutrition, exercise, spinal correction, and lifetime wellness. Our goal is for you to achieve your God given health potential and live life abundantly. Nutritional recommendations and tips to help you reduce the amount of toxins you are exposed to daily. These tips help lower your risk for chronic diseases and overcome the inability to lose weight. Our weekly table-talks teach methods that are easy, convenient, and effective. These methods will balance hormones, strengthen cardiovascular health, and increase muscle tone. The main goal is to correct the spine through specific adjustments obtained from x-ray findings. This specific spinal adjustments assist in alleviating aches, pains, and interference causing sickness and disease. After spinal care plan completion, patients are seen with our special lifetime wellness program through weekly, biweekly, or monthly options to maintain the overall performance of the body. By following these principles, our patients report a reduction in pain, improvement in quality of life and decline in medication dependence. The main objective at our office is not to reduce aches, pains, and ailments. Instead, we want to see our patients function and heal the way God intended with the use of proper nutrition, exercise, and spinal balance. Dr. Andrew Herman is native South Carolinian and a 2006 Liberty High School graduate. He now lives in the Easley community with his family. Dr. Andrew and his wife Lauren (Moody) Herman have two precious sons, Jaxon, born July 2015 and Weston, born March 2019. Dr. Andrew is a devoted Clemson Tigers fan and an avid outdoors-man. He also enjoys spending time with his family and friends, especially on the golf course. Dr. Andrew Herman received his Doctor of Chiropractic degree from Sherman College in June 2013. He practiced with Dr. Ryan Calhoun after graduation before opening Easley Family Chiropractic in 2015. He enjoys teaching the importance of chiropractic adjustments, proper nutrition, and consistent exercise to help patients get out of pain but most importantly make a lifestyle change. Dr. Herman is a member of 5 Point Church in Easley, SC and owes all his success and blessings to Jesus Christ. Make your appointment with Dr. Andrew Herman today and allow him to direct you to a happier, healthier life. Josh is a high spirited young man from Rochester, Indiana. Having moved here 6 years ago Josh attends 5 Point Church along with his wife, Becca. Josh is our patient advisor and loves to see healthy growth and smiling faces within this practice. 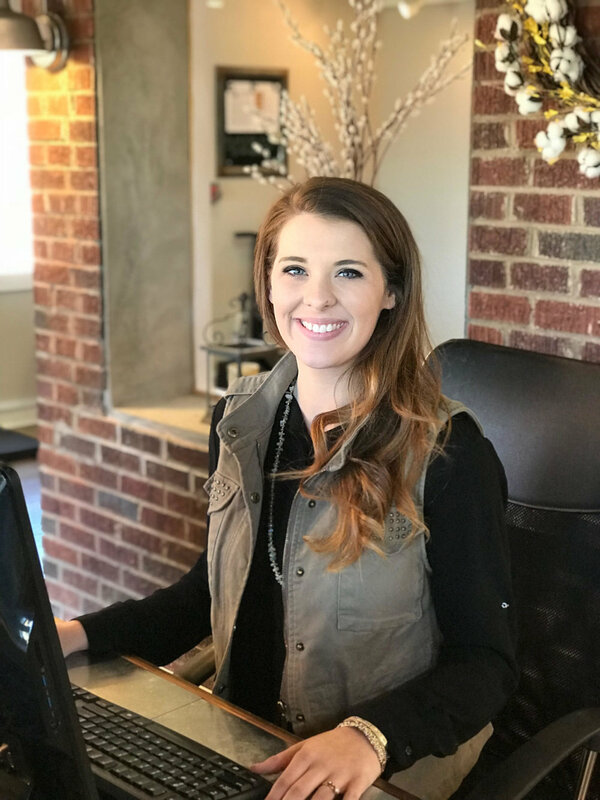 Nicole graduated from Anderson University in 2015 and spent time working in the design and building industry. She and her husband, Daniel live on their farm in Anderson and they attend 5 Point Church! She has a love for helping people and is always prepared to answer questions and help guide you through your care. Nicole is our office manager and the first face you will see as a guest of our office.